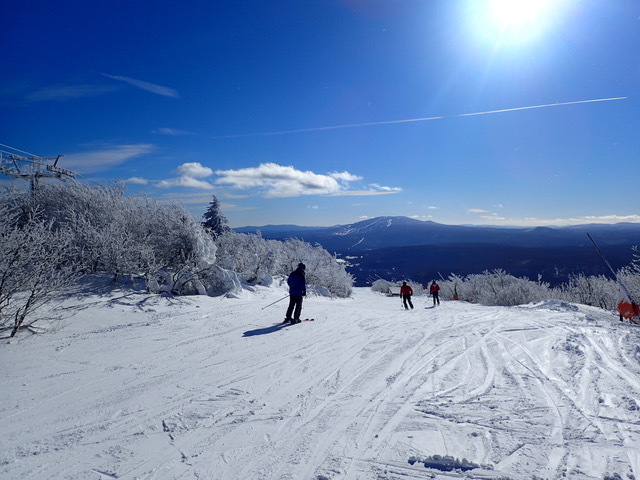 Bromley Mountain Is Just Right For Seniors. At Bromley Mt. in southern Vermont, runs are not too long and not too short, just right for senior legs to make a top-to-bottom, 1,300 vertical-foot run without a thigh-burn break. Although you would be remiss not to stop. Views from the top of the Sun Mountain Express stretch from the Adirondacks to the White Mountains. In the near distance, snow-dusted hills and ridges roll away. Trails curve through bright deciduous trees, and dipping into a glade is a friendly undertaking. I found the sweet spot on a trail called Corkscrew over to Pabst Peril, smooth as Guernsey butter, after a recent seven-inch snowfall. The Pabst reference is to Bromley’s original owner, Fred Pabst, grandson of Captain Frederick Pabst, founder of Pabst Blue Ribbon Beer. Black diamonds here are really what other areas would call blues, reducing the high alert meter. 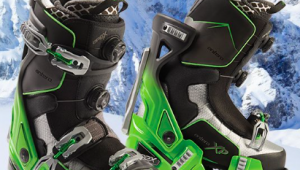 A high speed lift and groomed trails ensure sharable speed and vertical feet tallies on your Ski Tracks app. A south facing slope, flooded in sunshine on a wintry day, is enough to banish SAD for the entire winter, although some skiers’ fondest memories are sun-and-shorts spring ski days, and the world is grand. Bromley is known as a young family-friendly mountain, which is always good news for seniors. It welcomes a lot of others as well: tele skiers (a popular annual telefest); moms (Feb. 8 is Mom’s Day Off); snowboarders (Sochi Olympics medalist Alex Deibold is a native son); uphill skiers sunrise through dusk . (The Appalachian Trail swings around back. ); and exchange students (who trade Lima, Peru for Peru, Vt., to work here in their summer). Also innkeepers, young racers guided by the Bromley Outing Club, and lines of kids in weekly afternoon school programs. As an independent mountain, managed by Brian and Tyler Fairbank of the Fairbank Group, which also runs Cranmore Mt. and Jiminy Peak, Bromley still has a senior’s season pass, and senior day pass discounts as low as $39 for a midweek day ticket if bought at least a day in advance. The Silver Griffins is “for skiers 60 plus with a sunny attitude.” For $15 annual dues, you get parking near the base lodge midweek non-holiday (the youngsters have to park on the other side of Route 11), discounts in the cafeteria, ski shop, rental and repair service area, plus a name badge, monthly after ski parties in the Stratton View alcove, other social functions, and lots of tall tales from when Bromley was a two J-Bar mountain. 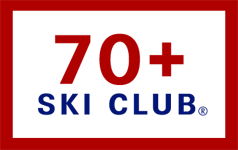 Marvie Campbell celebrates 50 years as a ski instructor at Bromley. Seniors Seasons Pass: 70 plus, $549; age 65-69, $599. No blackout dates. Advance Sale Lift Tickets: As low as $39, depending on day and month. Bring the grandkids: Bromley put in a terrain park this year, built by the experts at Arena Snowparks. Fat Tire Fridays: Burger and Beer Special for $10 in the Wild Boar Tavern. 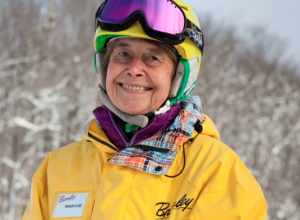 50th Anniversary: Marvie Campbell celebrates her 50 years as a Bromley ski instructor this year.